Hezbollah denies it was responsible for the assassination of Mohammed Shatah in a Beirut car bomb. The Lebanese Hezbollah terror group denied on Friday that it was responsible for the assassination of Mohammed Shatah, a former minister and an adviser to Future Movement leader Saad Hariri. Shatah was killed in a car bomb explosion in downtown Beirut on Friday morning. Five other people were killed and at least 15 were wounded in the attack. Hezbollah said Shatah’s killing was “heinous” and urged the Lebanese to be "rational," according to the Lebanese Daily Star. 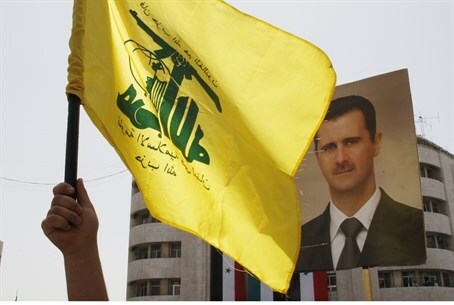 “Hezbollah believes this heinous crime comes within the framework of a series of crimes and bombings aimed at sabotaging the country,” the party said in a statement quoted by the newspaper. It said the attack against Shatah only benefited the enemies of Lebanon and was an attempt to destabilize the country and destroy national unity. Shattah, 62, was a staunch critic of Hezbollah and of the regime of Syrian President Bashar Al-Assad, of whom Hezbollah is a close ally. Earlier, former Prime Minister Saad Hariri, son of Rafiq Hariri who was himself assassinated in a 2005 car bombing blamed on Hezbollah, hinted that Hezbollah was behind the assassination of his senior aide. "Those who assassinated Mohammed Shatah are the ones who assassinated Rafiq Hariri; they are the ones who want to assassinate Lebanon,” Hariri said in a statement quoted by the Daily Star. "The suspects are those who are running away from international justice and refuse to appear in the Special Tribunal for Lebanon; they are the ones opening the window of evil and chaos to Lebanon and the Lebanese and are drawing regional fires,” he added, referring to the UN-backed body that has named five members of Hezbollah as being behind his father’s death, and whom the terror group has refused to turn over. Damascus has also rejected accusations that it was behind Friday’s explosion, reported AFP. "These wrong and arbitrary accusations are made in a context of political hatred," said Syria's Information Minister Omran al-Zoubi, in remarks published by state news agency SANA and quoted by the news agency. "Some figures in Lebanon have never stopped accusing [Damascus] every time a painful assassination takes place in the brother country Lebanon," he added.